A blend of soft hues and delicate tones, our Innocence collection really does live up to its name. Covering family rooms in a gentle wash of pastels and hushed colours, these subtle patterns create a gorgeous interior look without being at all overbearing. Perfect for family homes, the diversity of this crowd-pleasing range means that you’ll find something to suit all tastes. What’s more, the Innocence collection is part of our Superfresco Easy range, which means it’s extremely simple to hang on your walls. Rather than pasting the paper in the traditional way, you can paste the wall - cutting your decorating time in half. In this collection, we’ve been focusing on intricate patterns as opposed to bright and bold statement wallpapers. With this in mind, our Innocence collection brings a compelling sense of tranquillity that ushers you into a room of relaxation. Embodying a classic aura of luxury living, these wallpaper designs offer a feeling of timeless style that moves with the seasons. Light and airy, creating a distinctly cosy vibe, the Innocence collection is the perfect combination of styles to offer families an idyllic spot to chill out together. 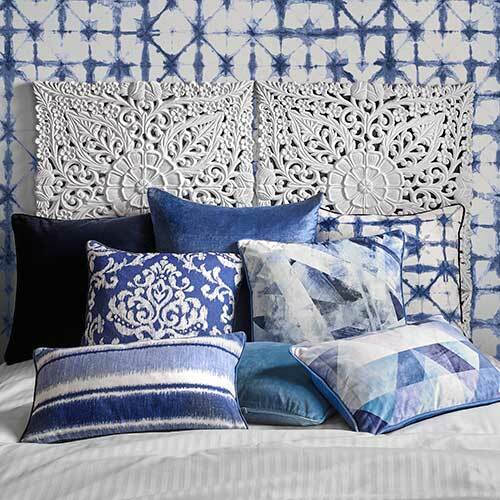 Mix and match these gorgeous motifs to create a four-wall design that guides guests through your home in style. Our Innocence collection offers stunning designs that work together seamlessly. For example, our Calico Stripe looks highly sophisticated when hung alongside the previously pictured mushroom-coloured Innocence wallpaper. 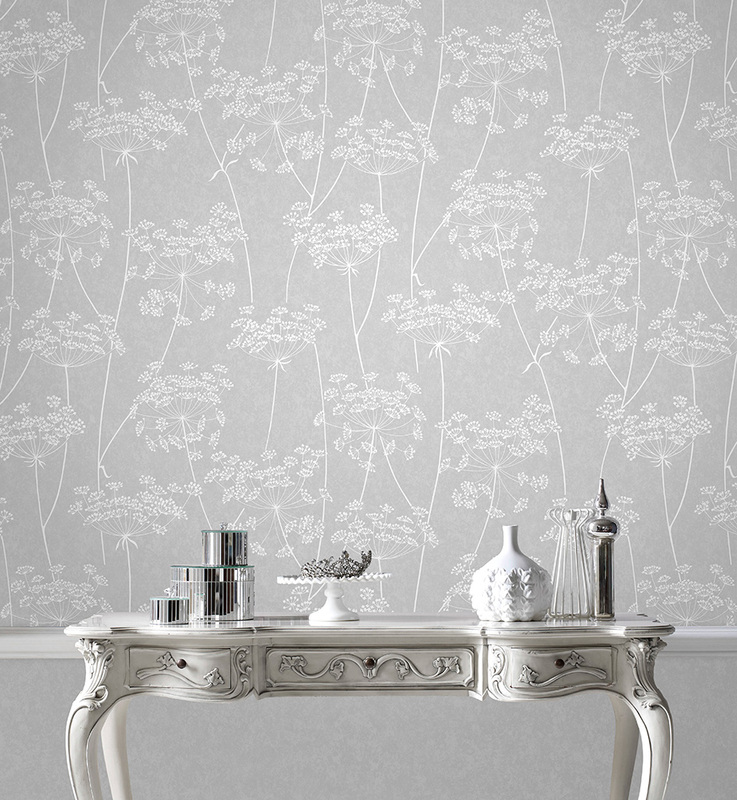 Adorning each wall with glamour, we’re all about giving you wallpaper options that help to make your house a home. Give each room your own personal touch by combining your favourites for a unique look that guests are sure to notice! For a touch of blushing colour, the pink blossoms of our Radiance motif bring a subtle element of colour to your room. For the best look, compare this patterned wallpaper with colour co-ordinated accents, just like we’ve done in this room set image. 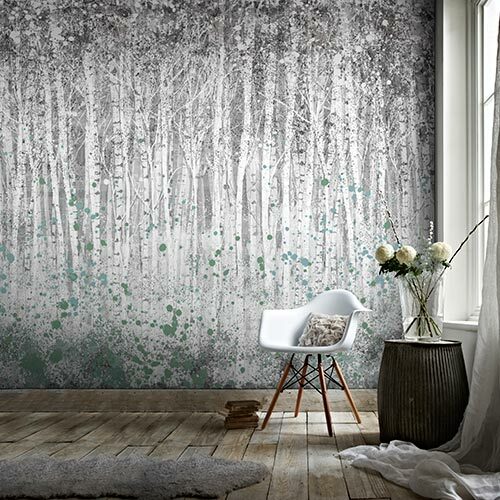 This wallpaper will really bring out natural pinks in soft furnishings or fresh flowers you scatter around the room. A feminine addition to any room, the soft white backdrop creates a crisp look, offering a chic finish. Innocence embodies the outdoors in a stylish way that doesn’t rely on Mother Nature’s earthy textures. 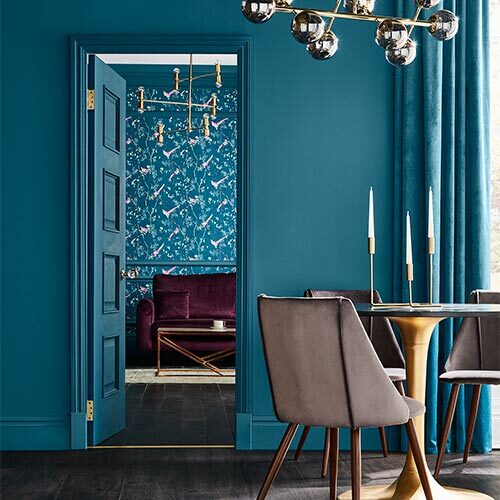 Drawing away from darker tones that mimic tree bark or mossy greens, this lighter colour palette is the perfect way to introduce a natural edge in smaller rooms. Our Aura Grey design, pictured above, really makes an impact. 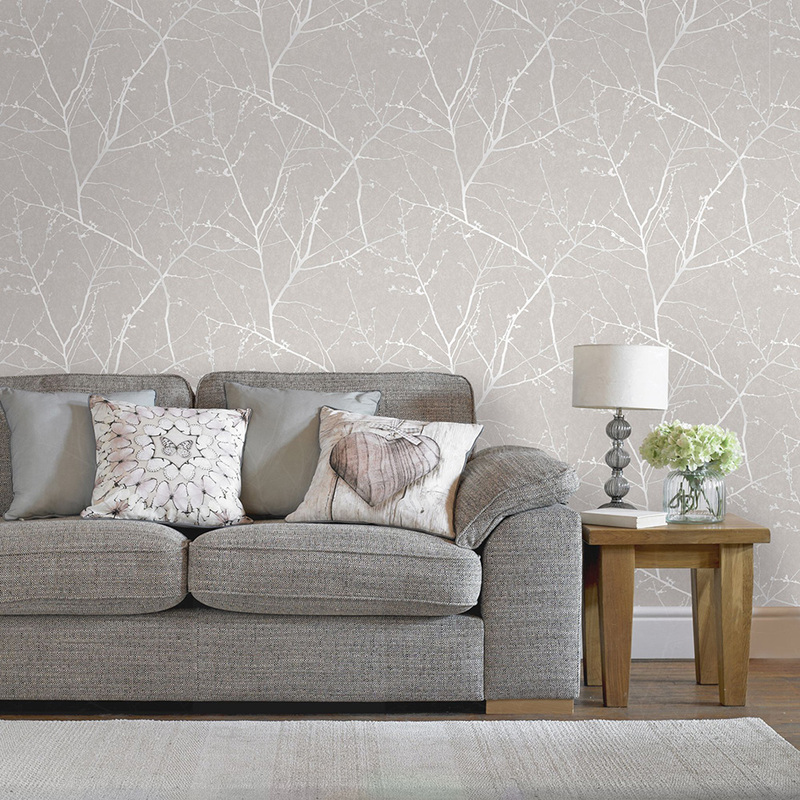 Allowing the light to pour through the window and illuminate every inch of your home, this graceful wallpaper is particularly good for communal areas where you entertain guests. Another design accent pulling us away from a raw outdoor look is the subtle dusting of mica that sits lightly on the pattern. 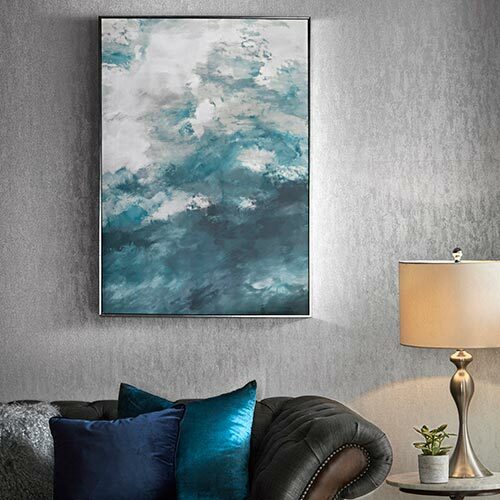 Glistening from every angle, this understated finish softly embellishes your room with an enchanting allure. Taking a notoriously rustic trend and giving it a much more charming appeal, we believe Innocence is the ultimate wallpaper collection for families that appreciate subtle yet impactful interior design.